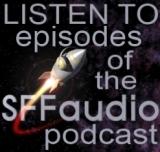 Spider Robinson’s latest podcast features a Hugo and Nebula Award winning novellete by Theodore Sturgeon. Robinson calls Sturgeon ‘the second greatest Science Fiction author of all time’ (with Heinlein being #1). At the end of the podcast Robinson also promises two more Sturgeon stories in future podcasts. The reading for this one though begins about 10 minutes into the show. The first of the two is A Saucer Of Lonliness. 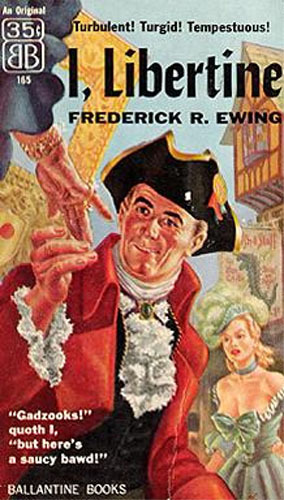 It was first published in Galaxy Magazine’s February 1953 issue. It was adapted into a radio drama for X-Minus One in 1957. Was again adapted, for television this time, into a segment of one episode of The Twilight Zone in 1986. This episode was dedicated to the memory of Theodore Sturgeon. And in 2004 it received a ‘Retro Hugo’ award. Winner of the Hugo and Nebula Awards. 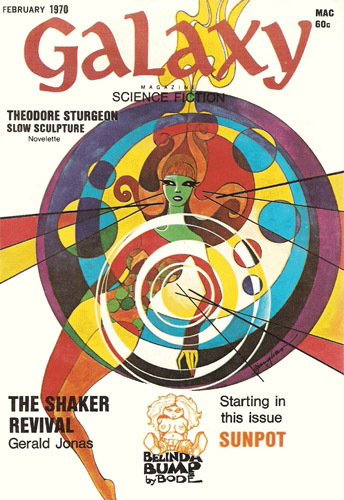 First published in the February 1970 issue of Galaxy. Today BoingBoing points to a vintage 1968 WFMU radio interview |MP3| with Jean Shepherd who, in the 1950s, promulgated a seemingly unstoppable hoax designed to lampoon the spurious bestseller book lists and their adherents. Shepherd asked his late night audience to visit their local bookstore and ask for a copy of I, Libertine, a book that didn’t exist. The I, Libertine hoax is like something out of Gravy Planet (AKA The Space Merchants)! Shepherd had equipped his listeners with a plan, a plot summary, and an author with a whole fake biography. The furor created by the phony demands for the seemingly very scarce book led to reviews (both positive and negative) by regular folks and the book critics who claimed to have read it, or to have even had lunch with the imaginary author. Then, Ballantine Books, sensing a pre-sold market, commissioned none other than Theodore Sturgeon (!) to write the novel everyone was clamoring for. Sturgeon nearly banged it all out in one “marathon” typing session before collapsing onto Betty Ballantine’s couch. She responded by finishing the novel herself. One thing not in the BoingBoing.net story, there’s a FREE AUDIOBOOK version of the book available! Seriously!